All rooms have en-suite shower room, air-conditioning, TV, mini-bar fridge and direct dial phones. Most of the rooms have access to a terrace offer commanding views to the sea and right across to the Peloponnese mountains on the mainland. Ippokampos Hotel, located in the centre of Hydra town and only 150m from the port, offers quality accommodation and makes the perfect place for relaxed and elegant holidays on Hydra island Greece. Hydra island consists of a crescent-shaped harbor, around which is centered a strand of restaurants, shops, markets, and galleries that cater to tourists and locals. 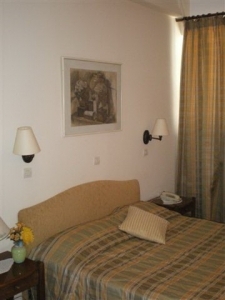 It is an elegant place for quiet and at the same time cosmopolitic holidays. The owner, along with the rest of the hotel staff, look forward to making your acquaintance and to offering you a pleasant stay at the Ippokampos Hotel. The rooms have all modern amenities and most of them have access to a terrace with beautiful views to the sea and right across to the Peloponnese mountains on the mainland. 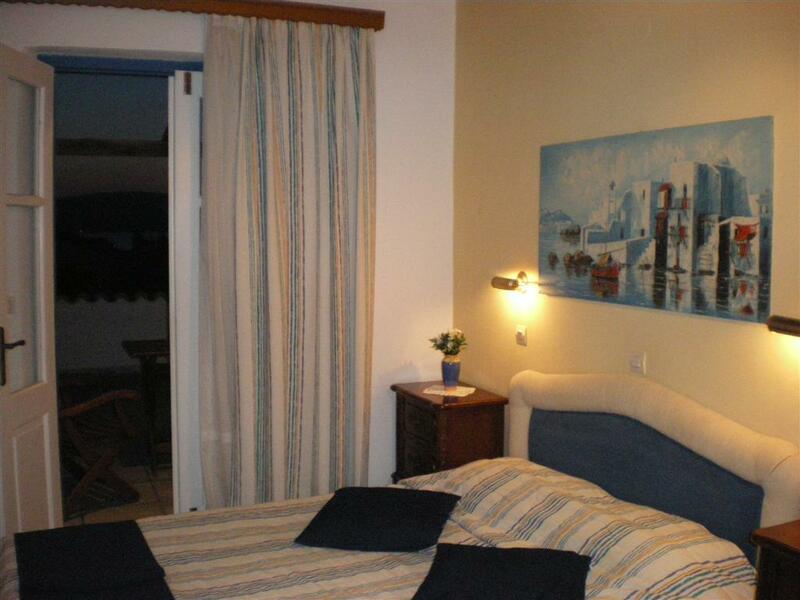 Ippokampos Hotel is located on the island of Hydra, one of the Saronic Islands of Greece. When you disembark take the lane up the side of the "Saltis tours" and then follow the Tombazi str. up to 150 m. No steps, easy to carry luggage. Fantastic Hotel on a beautiful island. We really enjoyed the hotel. The staff were great, the room comfortable and the view fabulous! We stayed in this hotel for a week and thoroughly enjoyed our stay. We arrived to be told that the room we had booked was not ready but that we could stay in their suite for a couple of nights. The suite was very spacious and had a huge balcony. Everything was very clean and very well kept. We had to move a couple of days later to the original room we had booked but that was very nice too with a sea view. The hotel breakfast was superb, fresh fruit, yoghurt, homemade bread and jams, endless supply of fresh coffee. All staff were very polite and friendly and very helpful when our travel plans went awry because of storms. I would definitely stay here again. This is our third year back to this hotel, we love the quiet relaxed atmosphere and the lovely staff. Hopefully back next year! we stayed 14 nights in that hotel, we were very well ! Everything was all right : room, breakfast, people, location. If we come back to Hydra we'll be there of course ! Excellent hotel. I would definitely come back. 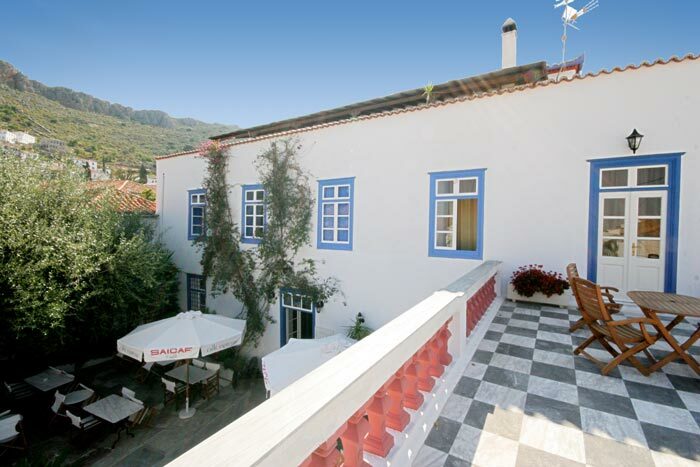 The location of the hotel is perfect, with very helpful and friendly people and a wonderful 2nd floor terrace with great views. We definitely intend to return here again. We enjoyed the location, view, and especially the breakfast. Thanks for the warm hospitality, including accommodating our early check out. Everyone at the hotel was very kind and helpful. We had a wonderful stay! Thank you! My husband & I have been twice to this hotel & have always found staff friendly & obliging. We'll be back! Love Hydra! a lovely hotel, I defintely want to come back. The service is very nice and the beds are comfortable.lovely to take the breakfast outside in the nice courtyard/garden. The mattresses were a little hard and the shower was a bit small. The hot water worked too well - I got burned testing the shower. The breakfast was good. The service was very good. The Internet was down for part of our stay - apparently an island-wide problem. We would still recommend IppoKampos and the entire island! Excellent hotel! Perfect location in center of town, just a block or so away from noise, but no steep stairs to get there! Staff are friendly and speak English. Small continental style breakfast is lovely.